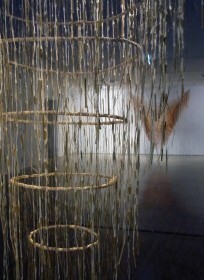 Dr Maureen Lander (Te Hikutu, Ngapuhi) is a multi-media installation artist who has exhibited locally, nationally and internationally since 1986. From the early 1990’s until 2007 Maureen taught Maori Material Culture courses at Auckland University. She has a fine arts doctorate (DFA) from Elam School of Fine Arts and her contemporary artwork draws inspiration from the beautiful woven taonga in museums and collections. 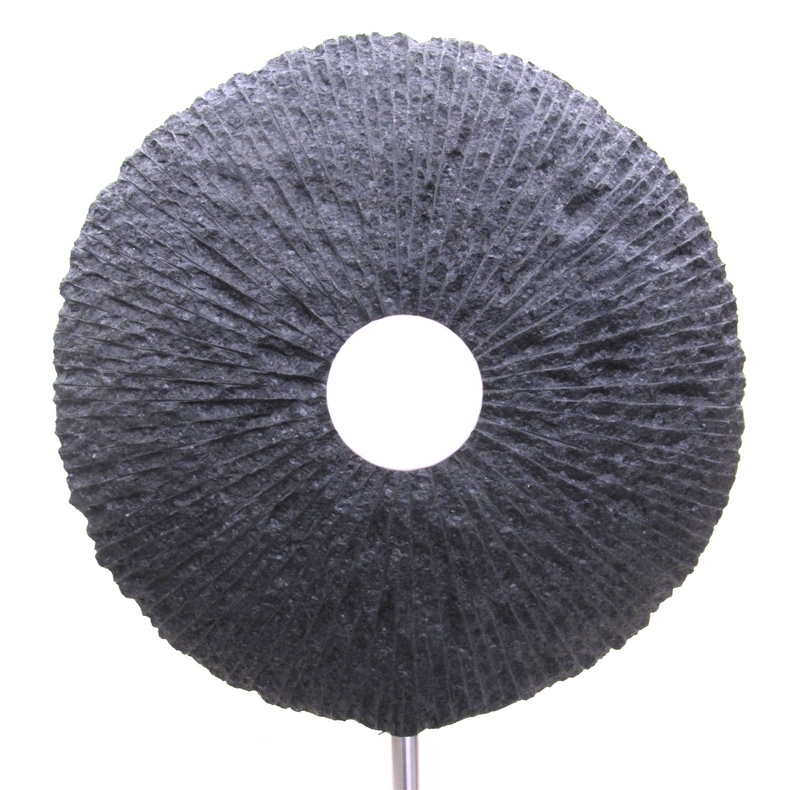 Since her retirement from university teaching Maureen has continued to make and exhibit her artwork and has been on several artist’s residencies in NZ and Australia over recent years. Maureen was born in Rawene and loves to come home to her bach in Omapere. She enjoys participating in weaving hui and exhibitions with local weavers and artists in the communities around Hokianga. 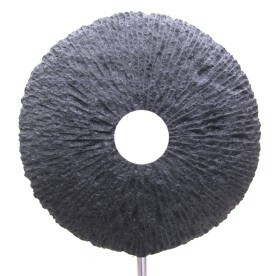 For more information about the show, see the NorthTec website. The Wairau Maori Art Gallery will be the first art gallery in New Zealand in which Maori values are emphatically and visually embedded and where Maori art practice is a priority under the creative direction of a Maori Board. Its establishment is the result of a generous commitment by the Hundertwasser Non-Profit Foundation in Vienna to honour the wish of artist Friedensreich Hundertwasser for a dedicated Maori art gallery in the Hundertwasser Art Centre in Whangarei. The purpose of the Wairau Māori Art Gallery is to showcase the best of Māori art to New Zealanders and international visitors. 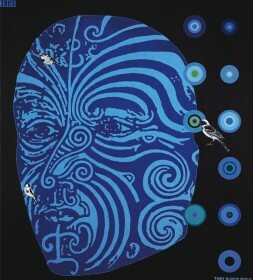 Ongoing exhibitions will promote and foster high quality Maori art and expressions of culture. The gallery will set high standards for Maori art works, and will make it possible for these to remain available for future generations to cherish. The Wairau Māori Art Gallery will strengthen the profile of Maori across all hapu and iwi, and it will serve as an invaluable global link connecting Maori, all New Zealanders and international visitors. The gallery will be a stimulating place where Maori culture and art gives excitement and pleasure, and is acknowledged as a having a leading role in the indigenous arts of the world. An inspiring place where Aotearoa audiences and international visitors experience and enjoy high-quality arts of Maori as tangata whenua. 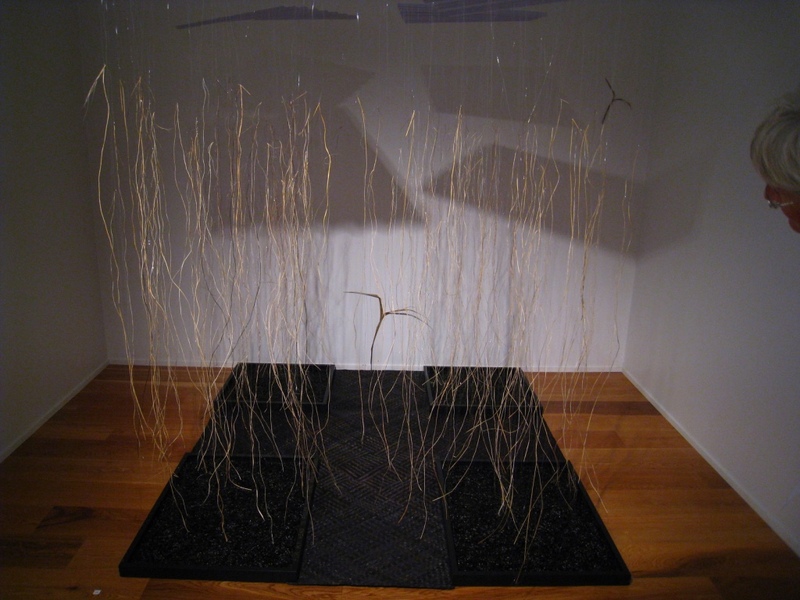 Art works will be sourced from Whangarei Art Museum’s own collection and on loan from the collections of national public art museums. From time to time works of Maori artists may be borrowed or acquired from private collections and from the artists themselves. Works may also be gifted to the Wairau Māori Art Gallery by artists and private collectors or placed on long-term loan to the gallery. 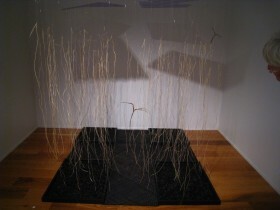 Initially, the gallery will not have a collection of its own. The Wairau Maori Art Gallery Board is part of the Hundertwasser Art Centre governance body alongside the Hundertwasser Non-Profit Foundation Vienna, Prosper Northland Trust and the Whangarei Art Museum Trust. The Wairau Maori Art Gallery Board is a group of distinguished Maori artists, scholars and Kaumatua and Kuia who work on a voluntary basis with Maori, the Hundertwasser Non-Profit Foundation in Vienna, the Whangarei Art Museum, Prosper Northland Trust, the Hihiaua Trust, national art museums and arts organisations. The Wairau Maori Art Gallery Board will apply for Charitable Trust status in 2016. The Wairau Māori Art Gallery will be managed by the Whangarei Art Museum under the direction and creative control of the Wairau Maori Art Gallery Board. The Director of Whangarei Art Museum and a Maori curator position will be responsible for programming along with the Wairau Maori Art Gallery Board. 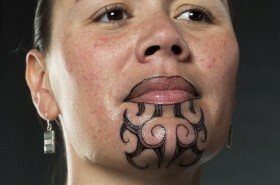 There will be opportunities for Maori guest curators. 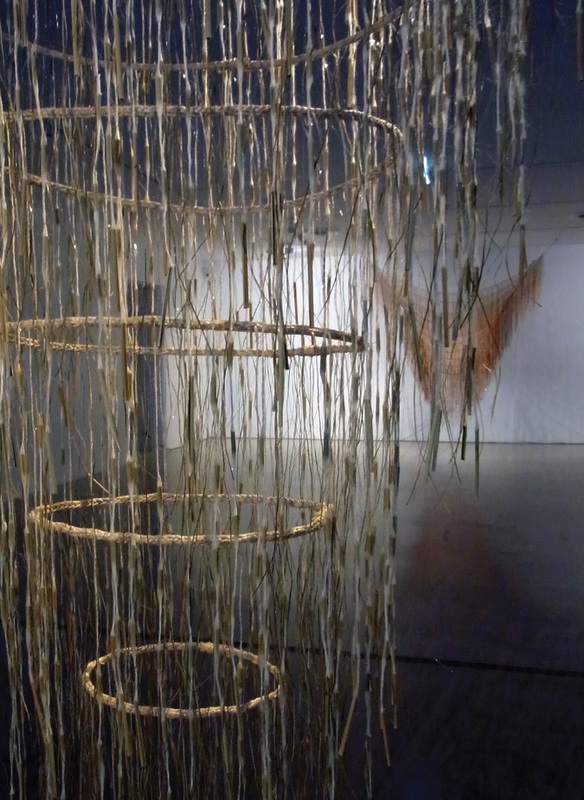 Whangarei Art Museum will be charged with operating, financing, publishing and programming of exhibitions of 9 to 12 month duration in collaboration with the Wairau Maori Art Gallery Board. The Wairau Māori Art Gallery Board was was formed in 2012 under the name Maori Advisory Panel, Hundertwasser Art Centre. The Māori Advisory Panel maintained cordial relationships with tangata whenua of Whangarei, iwi and hapu representatives of Te Taitokerau and Nga Hau e Wha, Maori politicians, funding organisations and potential supporters. The Māori Advisory Panel worked with the Whangarei District Council on the Hundertwasser until the project was rejected by a newly elected District Council in 2014. The Māori Advisory Panel continued to work with Prosper Northland Trust, Whangarei Art Museum Trust and the Hundertwasser Non-Profit Foundation during the turbulent months when the Hundertwasser project was in limbo. The project was revived by Prosper Northland Trust, Whangarei Art Museum Trust, the Māori Advisory Panel and the Hundertwasser Non‑Profit Foundation, and eventually was supported overwhelmingly by the ratepayers of Whangarei after an intensive campaign in June 2015. At this point the panel was reconstituted as the Wairau Māori Art Gallery Board. The Wairau Maori Art Gallery Board mourns the loss of our two colleagues, Jonathan Mane-Wheoki and Manos Nathan. Artists who whakapapa to Maori such as those on the Toi Iho list, will be invited to exhibit their work in the Wairau Maori Art Gallery. 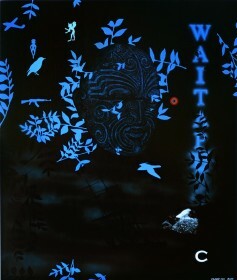 We have a special interest in the artists from Te Taitokerau as an acknowledgement of the land on which the WMAG stands. Toi Iho is the trademark of authenticity and quality Maori art. 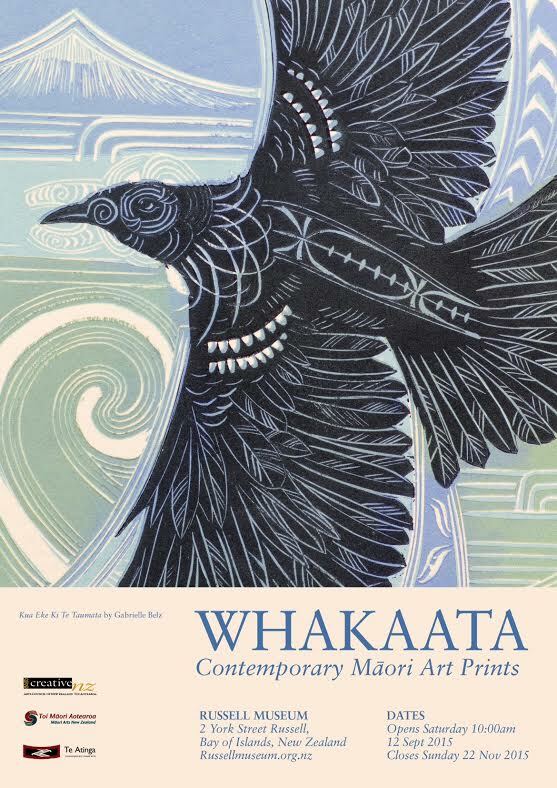 We’re proud to promote this exhibition, Whakaata, at Russell Museum in the Bay of Islands. Whakaata looks to show a connection to a Maori print history. It acknowledges this place, the proximity of Pompallier House with its historic printing press and its role in communication during the time of early contact. 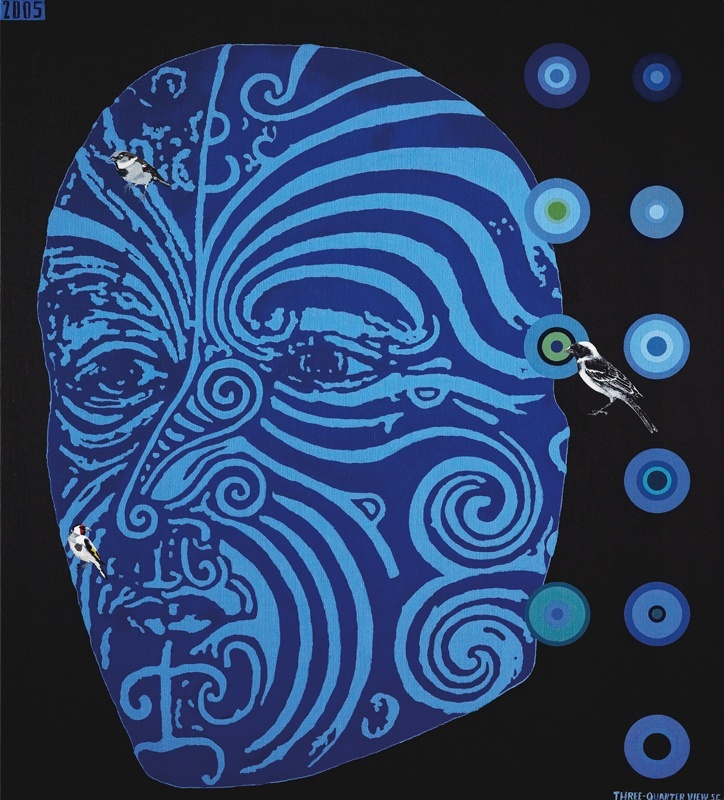 This exhibition presents numerous voices with some of the many Maori artists who have engaged in print and contributed to a Maori understanding of printmaking over the past 60 years. Some of these include: Pauline Yearbury, Marilynn Webb, Cliff Whiting, Toi Te Rito Maihi and Clive Arlidge from this senior generation. 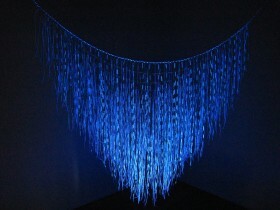 The title Whakaata carries connotations of mirroring, of revealing to light. The Toi Whakataa Maori print collective based its name on the idea of introducing ink to mark making (as in the process of Taa moko). The collective brings together a dynamic new generation of print makers that are committed to pushing new ideas in the practice. The group was initiated through the support of Te Atinga during its hui-wananga at Rangahaua, Wanganui Regional Polytechnic in 2002. 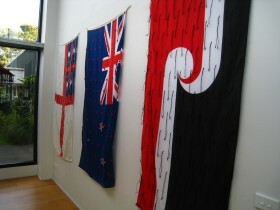 In 2006 the core group of Toi Whakataa formed, and over the past ten years they have been running wananga that explore what makes Maori printmaking unique. A kaupapa Maori/ wananga approach that takes in whakapapa, matauranga, new technology and innovation has helped shape style, technique and conceptual practice. 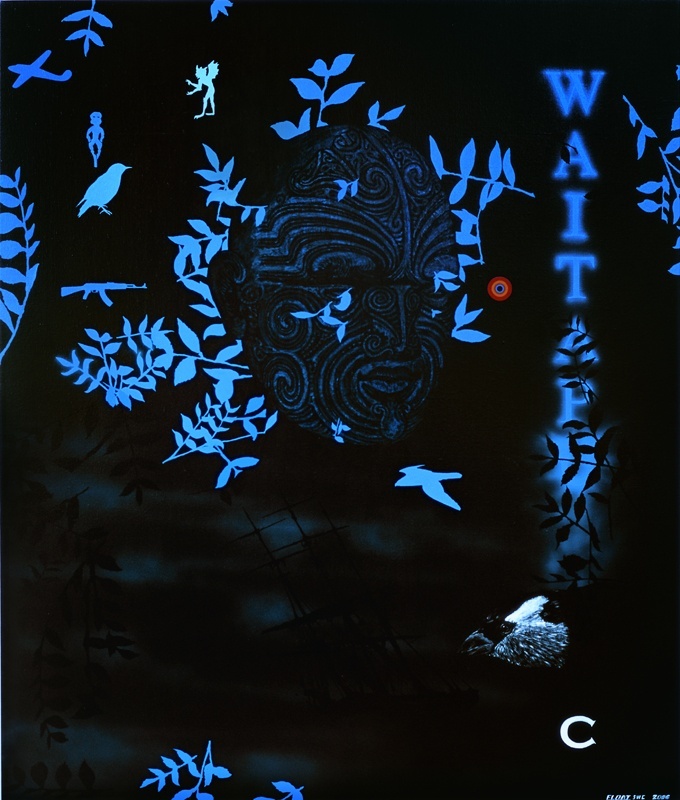 Whakaata, the defining concept for the exhibition refers to the ‘AHAA moment’, that action when the paper is lifted; the print is pulled into the light and the reflected image revealed. Here, process and concept are intertwined. Te Atinga – Contemporary Maori Visual Arts Committee 2015. 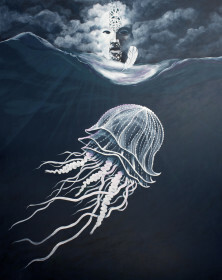 Manos Nathan – Te Roroa, Ngapuhi, Ngati Whatua. 1948-2015. Colleen Waata-Urlich – Te Popoto o Ngapuhi ki Kaipara. 1939-2015. 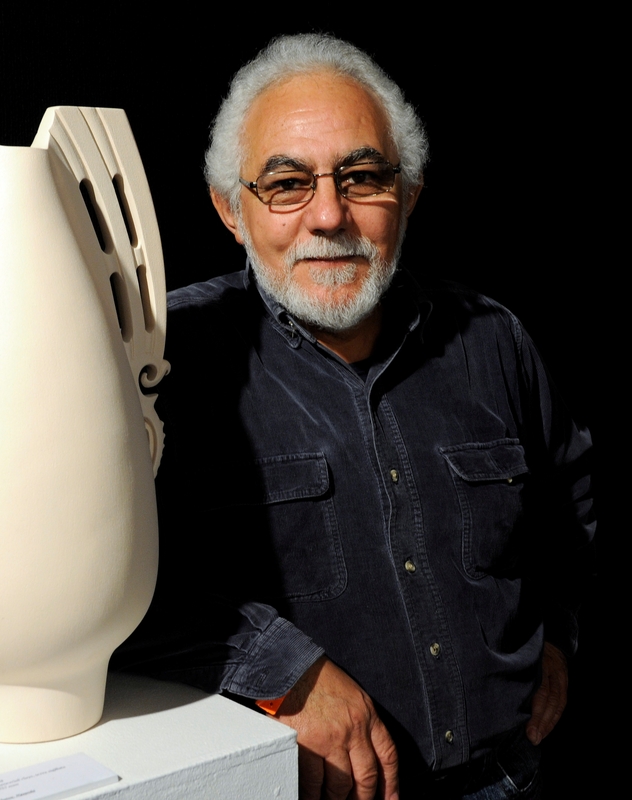 We all mourn the passing of two of our leading contemporary clay artists. They were founding members of Nga Kaihanga Uku, the National Maori Clayworkers’ organisation; members of Toi Maori Aotearoa Te Atinga and were inaugural members of the Toi Iho, Te Ara Whakarei. 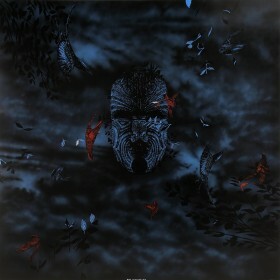 Manos served on the Hundertwasser Wairau Maori Art Gallery Board for three years since its inception. 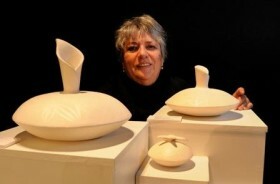 Colleen was an educator and the founding curator of Toi Ngapuhi. 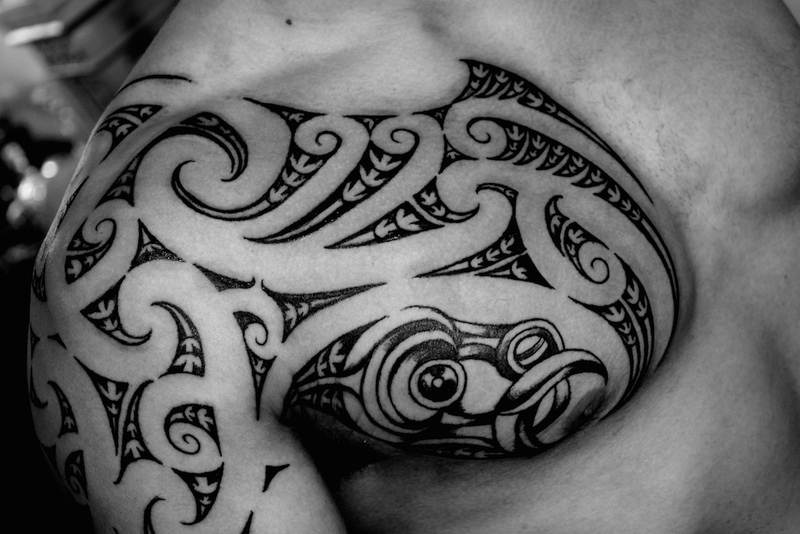 They represented Maori at gatherings around the world, Pacific Arts Festivals, exhibitions in San Francisco, Vancouver and many other countries. 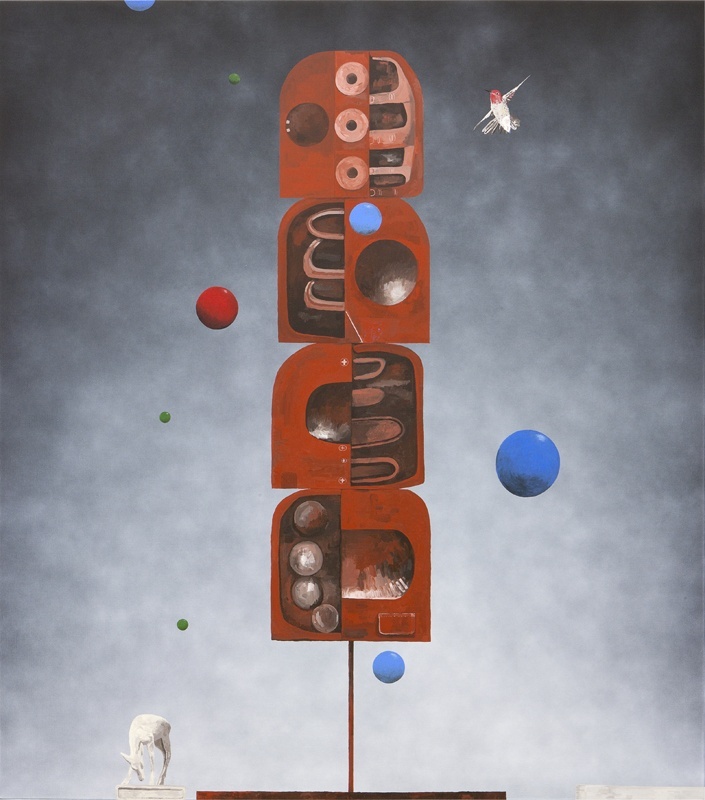 They forged enduring friendships with indigenous artists in Canada and the USA and other artists and curators all over. Sadly, Manos and Colleen passed away within a week of each other. They will be dearly missed by all of us who loved, admired and worked with them. Our deepest aroha to their respective whanau and friends everywhere. No reira, haere e nga mate. Haere ki te wa kainga. Haere ki te kainga tuturu o to tatou matua i te rangi. Haere, haere, haere. Nick has been an active artist for 25 years. 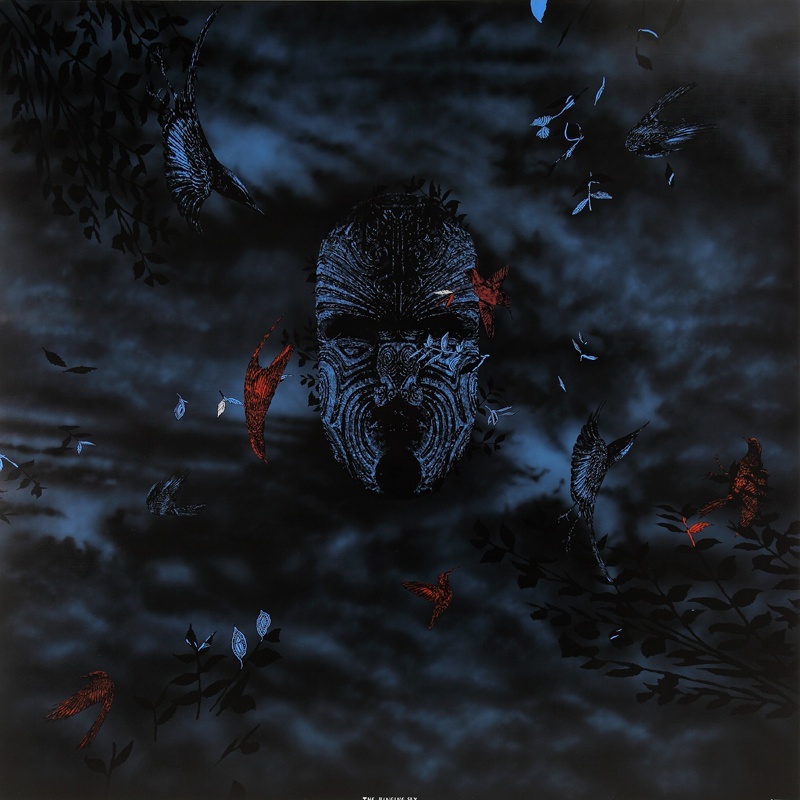 He began as a carver and this has influenced his Ta Moko and Tattoo work, all of which in recent years has collectively impacted on his painting and printmaking. He is bound to his Maori cultural and applies this to all that he does, including working in the conservation and preservation of Maori cultural collections and heritage. Nick is Te Ara Hoe, a New artist of Toi Iho. 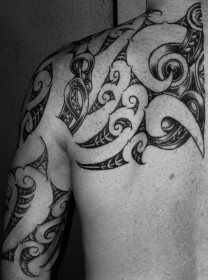 Bailey embarked on a journey of discovery in his thirties learning both his Maori language and culture. 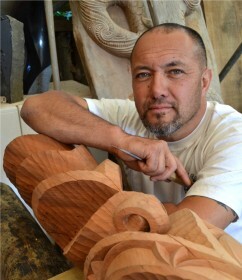 This involved returning to the various Marae of both his parents and his study at Auckland University where he learnt traditional material working techniques, this learning set him on the path to working full time as a sculptor which he has done since 2004 with much success both nationally and internationally. Born 1965 New Zealand sculptor Chris Bailey is of both Maori and Irish descent with ties to the iwi of Ngati Hako, Ngati Paoa,Te Aupouri and Ngati Porou. 2011 Headland Sculpture On the Gulf, Waiheke Island, NZ. 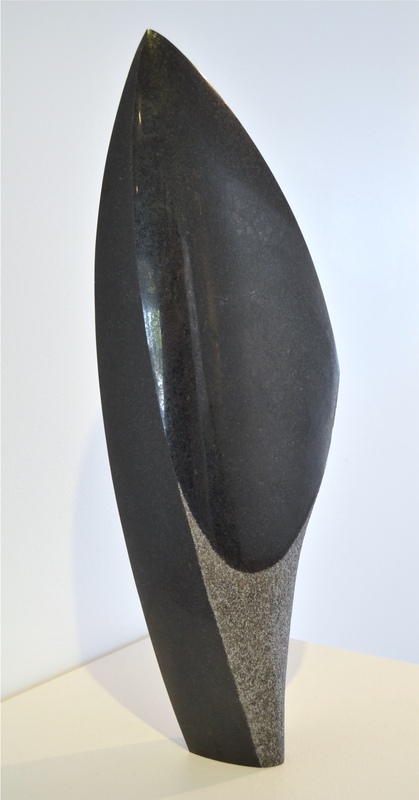 2014 Winner James Wallace Trust New Zealand Sculptor for Sculpture By The Sea Bondi, Australia. 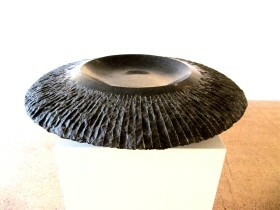 2011 Runner up – Peoples Choice – Headland Sculpture On the Gulf, Waiheke Island, NZ. 2014 Mata Kupenga, Public Sculpture for Auckland City Council at Waiheke Public Library, Waiheke Island, Auckland. Derek Lardelli involved in an exchange programme with the Freda Diesing Northwest Coast School of Indigenous Art, Terrace BC, Canada. 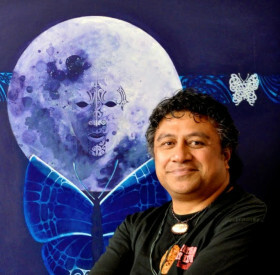 Derek Lardelli, Board Member of Toi Māori and Chair for his national art form team Te Uhi a Mataora, is regarded as one of Aotearoa, New Zealand’s finest tā moko artists. For a long time, Derek has been prominent in explaining the revival of the art and its spiritual significance to audiences throughout the country and the Pacific. Each moko he creates is carefully researched to reflect the whakapapa, history and particular interests of the person receiving it. Although he uses modern electrical equipment his work reflects the deep respect he holds for the traditions of his ancestors. Derek’s work as a practising ta moko artist is only one of many roles that he fulfils as a visual artist, carver, and kapa haka performer, composer, and graphic designer, researcher of whakapapa, tribal history, and whaikōrero. Derek is also a Kapa Haka tutor for the Whangara Mai Tawhiti Cultural Group. He will be sharing his experiences with friends of the Toi Māori network Stan Bevan, Principal Tutor of Freda Diesing School and Stan’s uncle, Dempsey Bob and their community based in Terrace British Columbia. He will also have the opportunity to exchange with the Emily Carr University in Vancouver. Derek will depart on Good Friday and spend two weeks with the school and communities in Canada. 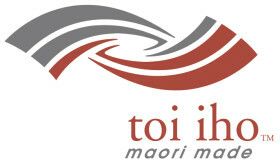 Toi Māori Aotearoa is a Charitable Trust set up by Māori Artists and is a national organisation for Māori art forms. It receives major funding from Creative New Zealand. This article was originally posted on Scoop. Hinewehi Mohi is an accomplished singer/songwriter. 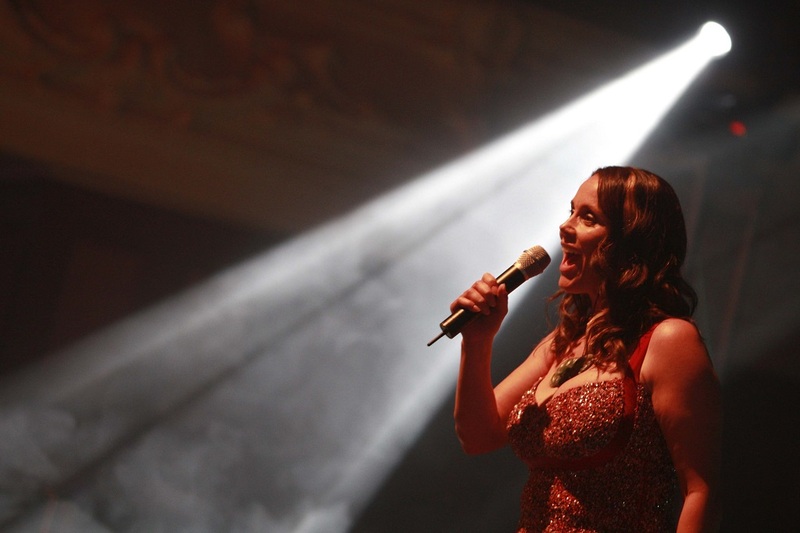 She has been dazzling audiences in New Zealand and abroad with her immense vocal talent since the debut of her first Oceania album in 1999. This extraordinary work continues to be popular 14 years after its initial release with sales exceeding 100,000 worldwide and achieving double platinum success in her native country. Fans are also captivated by her dedication to Maori language and culture and to her family, particularly her daughter Hineraukatauri who was born with cerebral palsy. 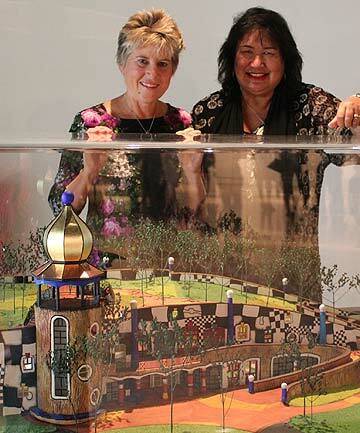 Whangarei Art Museum chairwoman councillor Sharon Morgan and Maori Advisory Panel chairwoman Elizabeth Ellis say the proposed Hundertwasser Art Centre has plenty of potential for Northland and all of New Zealand. A unique Maori art gallery is a key part of the Hundertwasser Art Centre proposed for the Town Basin. The $13.6 million project will include New Zealand’s only dedicated, curated Maori art gallery. It will sit alongside a gallery dedicated to Friedensreich Hundertwasser’s artworks, the only one outside his native Vienna. Please read the full article at stuff.co.nz by Denise Piper. 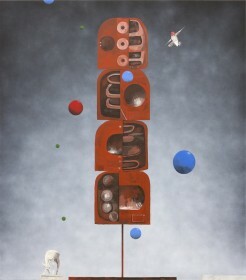 Shane Cotton is one of New Zealand’s best-known contemporary painters. History, politics and art are the subject of his work and the intersection of bicultural heritage (he is Ngapuhi and Pakeha) has been a running theme.